She is renowned for her innovative, proactive and preventative girl child empowerment programs which today directly benefit over 70 000 girls per year in Zimbabwe . From just one Girls’ Club at Zengeza 1 High School, Zimbabwe, GCN now has 700 clubs in ten provinces of Zimbabwe. Betty has implemented innovative strategies directly eliminating gender-based violence and the harmful cultural practices that fuel the spread of HIV and AIDS among girls . Girl Child Network Worldwide is in place to support empowerment of girls in the home, school and community. Everything we do conforms to our notion of empowerment. We are a proactive development organisation that prevents .There are ten indicators of an empowered girl and we work with them through girls clubs. The Girl Child Empowerment Model has worked with 300 000 in Zimbabwe over a decade and it is a best practice model being replicated round the world. Empowerment is a process of facilitating,providing and instilling the means so that girls overcome challenges and reach their full potential as women. 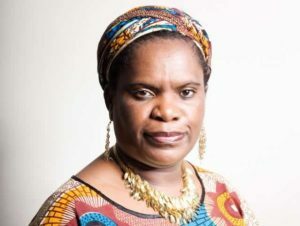 Betty Makoni, Founder and Director of Girl Child Network (GCN) Zimbabwe is also Chief Executive Officer of Girl Child Network World Wide, an organization that champions the rights of the girl child globally. Since 1999 Betty has mobilized over 300 000 girls to be empowered so that they reach their full potential. The Girl Child Empowerment Model she came up with has since been replicated in many parts of the world and it is spreading like veld fire. Betty has mobilized financial resources to build four Girls Empowerment Villages, a unique model that provides safe shelter and healing for sexually abused girls. Over a decade ago, over 70 000 sexually abused girls have been empowered and rehabilitated through family, school and in the community. Betty Makoni being a former beneficiary of a scholarship for disadvantaged girls, has over 5000 girls benefiting from a girls scholarship program. Daily sexually abused girls are being rescued from abusive environments and reinstated in school and reunified with child friendly family members.